Yesterday, I was invited by Melbourne Central to check out their newest retail space, known as 'The Corner' - dedicated to urban fashion. One of my favourite stores in this precinct, is Co Op Surfection. 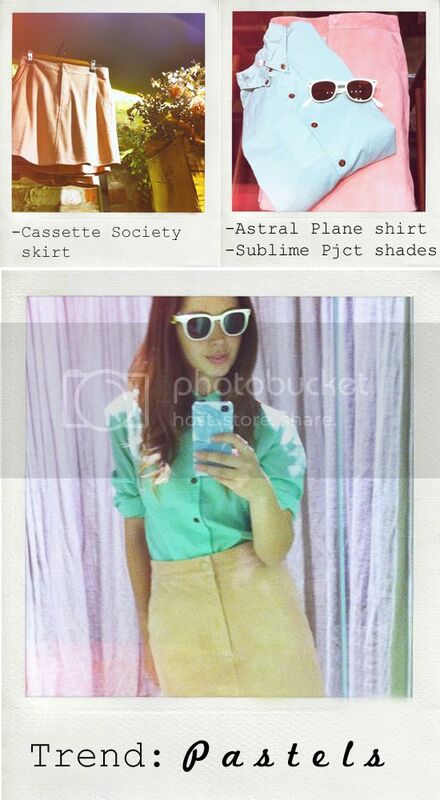 Not only does the store have a great range of my usual brand go-tos: StyleStalker, Cassette Society, One Teaspoon and Sabre, but every time I visit, I uncover a new Aussie label, like The Astral Plane (pictured), who have some of the best pastel tees and shirts going around. Whilst I was in-store, I took the opportunity to play dress-ups and share with you two of my favourite trends of the moment: mixing prints and pastels. 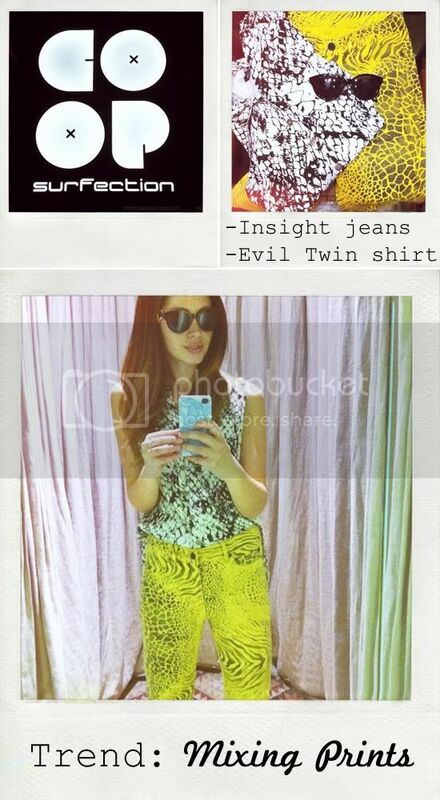 How outrageous and fabulous are these yellow print jeans! Next time you're in town, be sure to check out Melbourne Central and 'The Corner' - assignment or no assignment, hands down my favourite shopping 'mall' experience in Melbourne. P.S. Some of you have asked where my iphone case is from - it is UK brand Iconemesis, who collaborate with some of the best artists to create incredible case designs - enjoy! From Louis Vuitton to 3.1 Phillip Lim, to Prada, pastels and lady-like tailoring have featured heavily on catwalks. Here is my take on the trend, experimenting by colour blocking pastel hues, as well as texture in these gorgeous THIMBLE shorts. There is something eternally feminine about pastels, so I'm happy to see more and more designers picking them up.